As a quick refresher, we ended the midseason break with a lot of crazy things happening in Gotham. Alfred and Bruce get into a physical fight leading to Bruce firing him, Jim took over the Captaincy of the GCPD from Harvey which definitely rubbed Harvey the wrong way, Lee became the new leader of the Narrows, Ed’s visions of the Riddler finally returned, Grundy remembers that he used to be Butch, Sofia shoots Pyg in the head which was a very underwhelming end to an amazing villain, and Penguin gets locked up and bumps into his neighbor – the Joker. This new episode seems to mostly take place in the narrows and is heavily focused on relationship building. Let’s see how things have progressed in Gotham since we’ve been away, shall we? I have been patiently waiting for us to dive into the Poison Ivy storyline. You’ll remember that she took some ancient medicine/drugs that clearly had a hell of a reaction to her body. Well a couple of lowlifes go into the shop Ivy got the drugs from, looking to get high themselves. They stumble upon what looks to be a cocoon that is housing Ivy. She emerges from the cocoon looking pretty confused and vastly different then the last time we saw her. Ivy quickly disposes of one of the lowlifes with some sort of poison that burns his face while the others run. Later Lucius and the GCPD coroner will examine the body and cut it open to find that poison ivy is literally growing inside him and living off of the man’s dead tissue. In the same building where this shop is, Lee is upstairs running a sort of motivational seminar for the people of the narrows. She is trying to convince them that they are just hurting themselves by stealing from each other. Lee wants to turn the narrows around and make it a place where people don’t need to steal to live. While she is in the front of the room, there is someone in the very back with a remote controlled toy plane that he flies towards Lee. Luckily for everyone there, someone smacks it out of the window right before the plane, which happens to be a bomb, detonates. Jim has been looking for Harvey since their last exchange where Harvey turned in his badge and gun and this search has taken him to the narrows. During his search he stumbles upon Alfred who was getting mugged by three large men. Fortunately for the attempted muggers, Jim stops the robbery before Alfred has a chance to cause them too much physical harm. Jim realizes that Alfred has been fired by Bruce and is now living in the narrows. Right as he realizes this, the toy plane explodes outside the building next to them and Alfred and Jim go to the building to help everyone get out safely. While investigating the crime scene, Lucius finds the remnants of part of the toy plane. Lucius and Jim come to the conclusion that this was most likely an assassination attempt and a good place to start searching for answers would be local toy stores. Luckily for them the first creepy toy store they enter is home to our toy plane operator. He sets a few booby traps for them and manages to escape because his son stops Jim and Lucius from chasing him. Jim and Lucius question the son who lets them know he overheard his father confirming a name the other night “the doc.” As you all know, the doc is what everyone in the narrows calls Lee. And alas we have the path for Jim and Lee to finally interact again. Jim goes to ask Barbara who the doc is and she lets him know the doc is partners with Ed at a place called ‘Cherries’ in the narrows. Jim goes to Cherries to investigate and sees that the doc is indeed Lee. They have a brief conversation where it is clear that there are still feelings between the two of them. Right afterwards, Ed spots the toymaker at the back of the room and chases him into the alley where he flips the script on Ed. During their conversation it comes out that Ed is the one that paid the toymaker to kill the doc, well not Ed – but the Riddler. It seems like we have a ‘Fight Club’ situation on our hands between Ed and his Riddler persona. Jim shows up and shoots the toymaker, killing him. 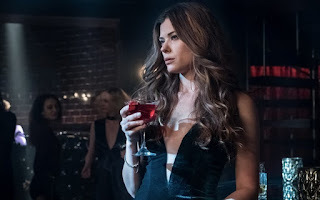 While this is happening, Ivy breaks into an apartment of a couple who are out of town and sees a commercial for the Sirens featuring Tabitha, Barbara, and Selina promoting the club. She recognizes them and goes to the club to confront them. Bruce also happens to be there and is enjoying some private table service, but his company is becoming quite rowdy. Selina goes over to calm them down and calls out Bruce for acting like a schmuck. Ivy leaves, but not before Selina realizes it is her and follows her to the apartment. 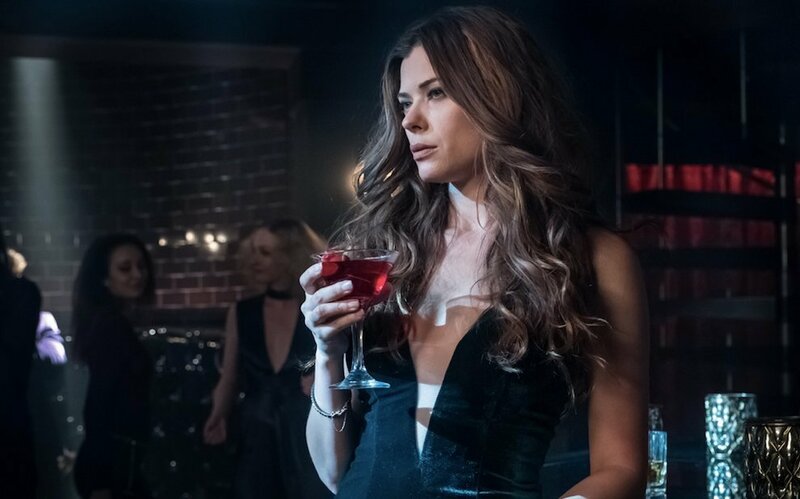 Ivy cuts Selina – poisoning her, just to show Selina her power. She then gives Selina the antidote and invites her into a partnership for them to take over Gotham together. Mixed in with everything is a storyline featuring Alfred falling for a diner waitress in the narrows. He realizes that her boyfriend is abusing her and confronts him about it. During the confrontation Alfred’s ring falls out of his pocket and the boyfriend picks it up. That night the boyfriend wears the ring while beating the waitress to death, causing Alfred to become the primary suspect in the murder. Alfred goes after the waitress’ boyfriend at a seedy local bar. He manages to hold his own for a bit before he gets overmatched by four men. Right before he is about to get stabbed by the boyfriend, Harvey saves the day with a baseball bat. The boyfriend’s alibi was one of the men Alfred and Harvey beat up and they end up recanting – leading to the boyfriend getting arrested and Alfred being cleared of the murder charge. Jim comes to the bar to see Alfred and Harvey taking shots. He tells Harvey he misses him and puts his badge on the counter, offering his job at the GCPD back. Harvey does not reciprocate the feelings and tells Jim to essentially go kick rocks. 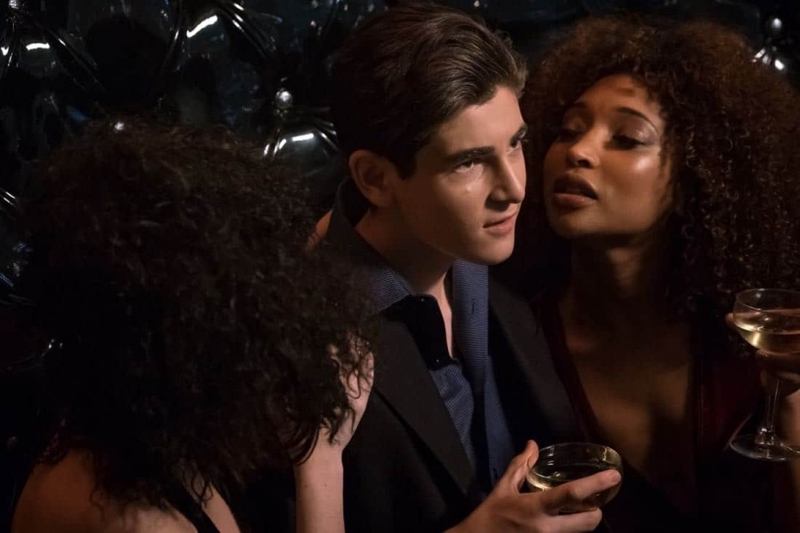 This episode of Gotham was one of the weaker ones from an otherwise strong season. Too many people just happened to randomly be in the same place at the same time and then the rushed story lines – the toymaker and the murder Alfred was involved in – all just made it a disjointed episode. Moving forward it is looking like the season will focus on Joker and Penguin as well as Ivy and Selina’s new partnership, and of course the fact that one of Ed’s personalities loves Lee while the other is trying to kill her. 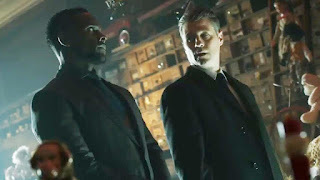 I have full faith that Gotham will get back on track as the season progresses.